Elegant aesthetics, clean lines and a pleasure to use. MEI Interiors can design the perfect bathroom for your home. 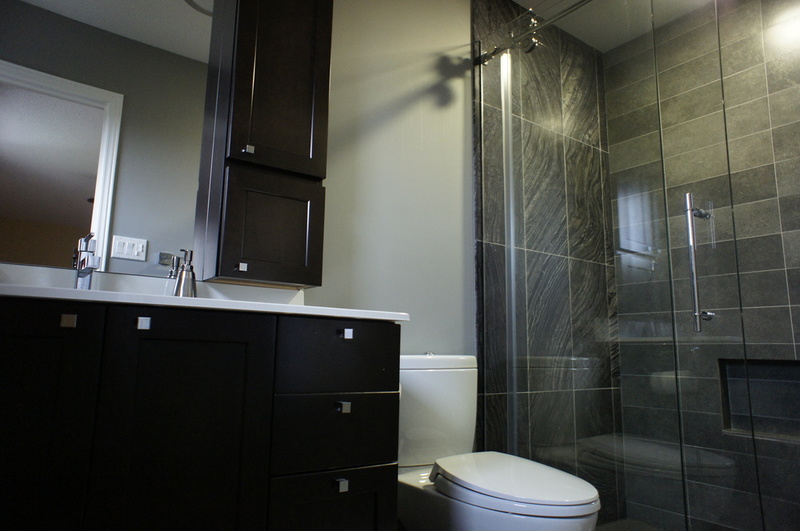 We maximized the space in this bathroom while also following the clients desires for a contemporary feel. The client wanted a modern contemporary bathroom that was practical. The design is black and white with custom cabinets and vanities. Large tiles were used horizontally to create a feeling of space in the small room.